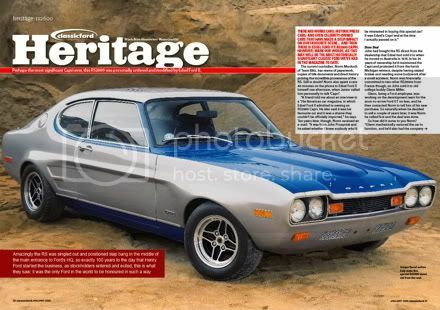 January 2008, "Classic Ford Magazine"
First paragraph: "There are works cars, historic press cars, and even celebrity-owned cars that have made a deep impact on our favorite scene... And then there is Edsel Ford II's RS2600 Capri. 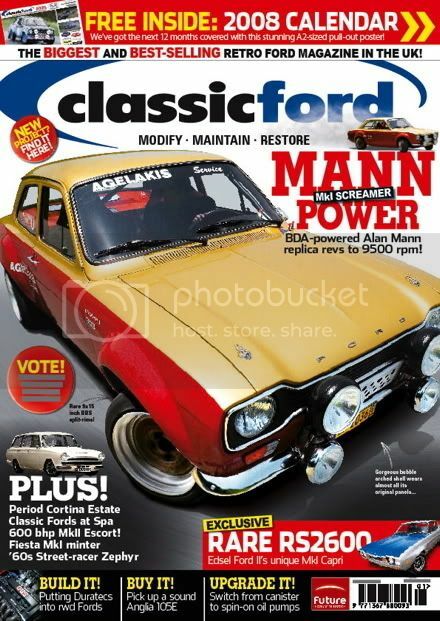 However, mark our words, as this may well be the most historically significant classic Ford we've had in the magazine to date." Writer, Bryn Musselwhite. Editor, Simon Woolley. Photographer, Jon Hill. Thanks for posting these here -- really great to see this unique car getting recognized. I'll have to give it a few months, and then I can post, with copyright permission, some out-take pictures the photographer gave me. Since I found this site I've been checking Ebay to see what can be purchased over in Europe. 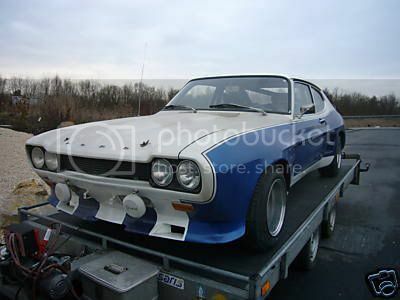 I wish I could buy this and being it over, my first road car was a 1970 Carpi with a 2.0 V6. 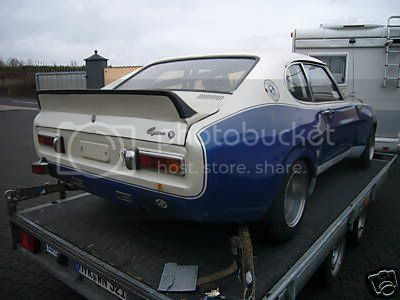 RS2600 made it to 6051 euro's which is around $7750 and did'nt make the reserve.